Also published as Murder at Hazelmoor. Released on Friday, July 18, 2003 at Controlled Release in St. Louis, Missouri USA. Off to a happy new home (we hope) in Mrs. Ordonez' Birthday Book Box. I took this book from Mrs. Ordonez's book box. Thanks AmberLee17! This was a quick, enjoyable read. I will be passing it on to another bookcrosser soon. Mailed today to Silverstone in Sweden! Enjoy! I received it in the mail today, that was very quick!! Thanx Anabanana.... it arrived just when I finished another book and needed something easy to read. Have started reading it already and will pass it on to the next person on the list in December as I have promised. 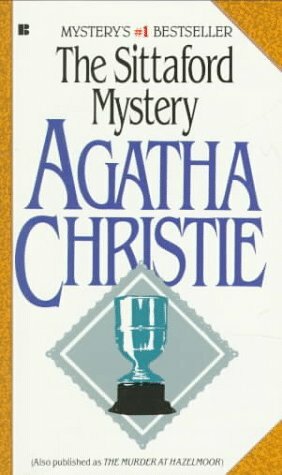 Another clever Agatha Christie and.... for once it was new for me!!! I simply enjoyed it!! Will pass it on to WickedWordz in december!